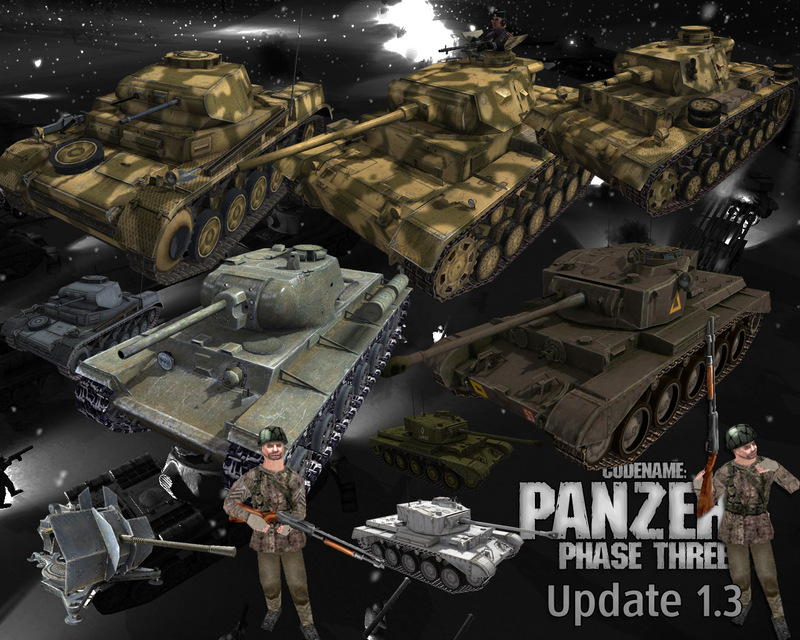 PANZERS Phase 3 Update 1.3 has been released to public as of 22 September, 2010. This update is much larger compared to the updates 1.1 and 1.2 as it includes a lot more additions. It includes 30+ new units (incl. camo/winter skins). 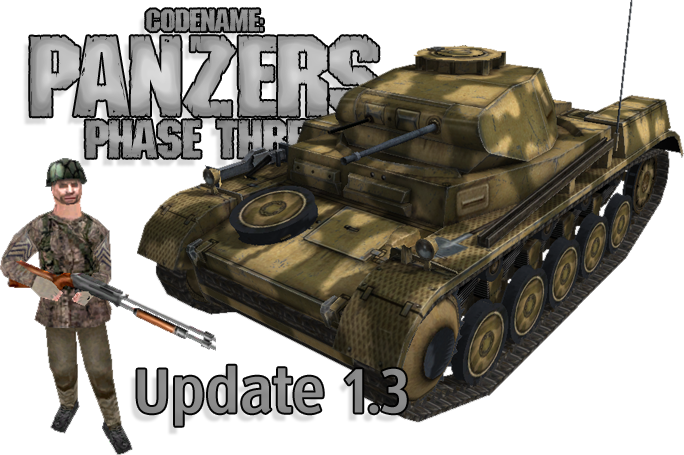 This includes brand new units such as A-34 Comet, Panzer II Ausf. F, Panzer III Ausf.J, NKL-16, KV-1C, Wurfgerat 41 and a new type of infantry — Shotgun squad. This update also includes 2 brand new scenarios (End of the Line and D.A.K. Mission), one made by me (VPf2) and the other by Lucas_de_Escola. A great quantity of effort has been put into this update. I hope you will like it.